Rahul Gandhi accused Prime Minister Narendra Modi of being silent on rising petrol and diesel rates, the state of farmers, and atrocities against women. Opposition parties observed a nationwide shutdown on Monday between 9 am and 3 pm to protest against the rise in fuel prices and decline in rupee’s value. The Congress called for the bandh, and claimed to have the support of 21 parties. Schools were closed on Monday in Karnataka’s Bengaluru and across Odisha. There were reports of sporadic violence from across the country. The district administration in Udupi city in Karnataka imposed prohibitory orders after protests turned violent. Protestors blocked railway tracks in Odisha and Assam. A man in Bihar’s Muzaffarpur district has been hospitalised after unidentified people shot at him. In Pune, there were reports of Maharashtra Navnirma Sena workers deflating bus tyres and violently enforcing the shutdown. Almost 400 bandh supporters were detained in different parts of Tripura while Arunachal Pradesh Police arrested around 100 Congress activists. 9.55 pm: Leaders of the Congress and the Communist Party of India (Marxist) have been booked for allegedly blocking traffic and violating prohibitory orders in Shimla, PTI reports. A first information report was filed against Rajni Patil, Congress chief for Himachal Pradesh, party state President Sukhvinder Singh Sukhu; Leader of Opposition Mukesh Agnihotri and MLAs Ram Lal Thakur, Anirudh Singh, Nand Lal and Vikramaditya Singh. A separate FIR was filed against Rakesh Singha, the CPI(M) MLA from Theog. 9.40 pm: The BJP has put out an infographic on its Twitter handle, in an attempt to show the fall in the rate of increase in fuel prices from 2014. The infographic claims that while petrol prices rose by 75.8% between May 16, 2009 and May 16, 2014 [a period of Congress rule], they rose by just 13% between May 16, 2014 and September 10, 2018. Similarly, diesel prices increased by 83.7% between May 16, 2009 and May 16, 2014, but only by 28% between May 16, 2014 and September 10, 2018. The bar graphs plot the prices of petrol and diesel, not the rates of increase. However, the last bar for September 10, 2018 for both fuels is lower than the previous one corresponding to 2014, though the prices have increased. This anomaly was quickly noticed by the Congress, which tweeted the correct infographics, showing that the prices of petrol and diesel have increased even though international crude oil rates have fallen since the National Democratic Alliance came to power. 8.53 pm: Union Road Transport Minister Nitin Gadkari claims that the Ministry of Petroleum and Natural Gas is setting up five ethanol-making plants in the country, and that diesel produced from these will be priced at just Rs 50 per litre. He says an alternative to petrol will be available at Rs 55 per litre. 8.49 pm: Jehanabad District Magistrate Alok Ranjan Ghosh says that the family of a two-year old girl who died while being taken to hospital said that their ambulance had not been stopped due to the bandh, ANI reports. 7.35 pm: The Mumbai Police says 608 people were detained and released subsequently. Six people were arrested, and eight cases were registered at various police stations. No serious incidents have been reported, police adds. 6.31 pm: In West Bengal, the bandh failed to evoke much response as the Trinamool Congress opposed the shutdown so that development projects do not get hampered, reports PTI. 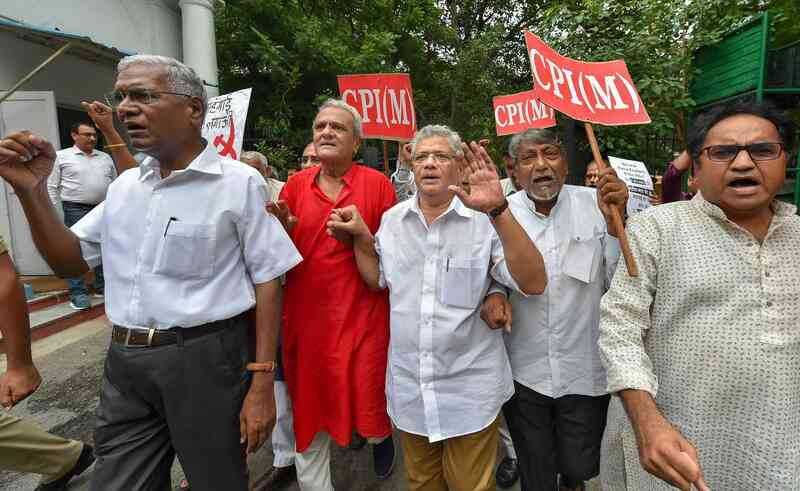 The CPI(M) called the ruling party a supporter of the BJP-led government at the Centre. 6.27 pm: The nationwide shutdown evoked a good response in Chhattisgarh, reports PTI. Buses did not ply in Raipur, Durg, Rajnandgaon, Mahasamund and Bilaspur districts, while auto rickshaws were also off the roads in Raipur. The Chhattisgarh Chamber of Commerce supported the shutdown. 6.24 pm: Madhya Pradesh Congress president Kamal Nath says the Shivraj Singh Chouhan government should reduce value-added tax on fuel, PTI reports. 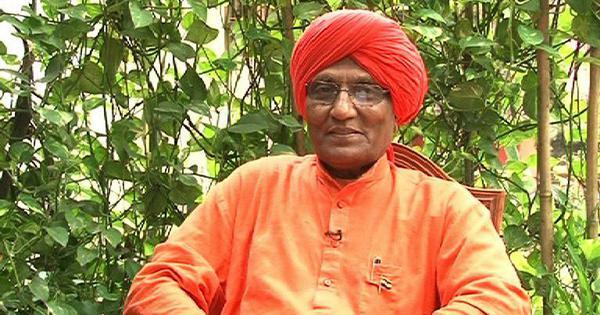 “The Madhya Pradesh government should reduce VAT on petrol and diesel two times of what has been done in Rajasthan,” he tells reporters in Bhopal. 6.04 pm: Rajasthan Chief Minister Vasundhara Raje calls the Opposition protest a drama, reports PTI. She points out that her government has reduced value added tax on petrol and diesel to give relief to the people. 5.49 pm: The rupee has closed at a new record low of 72.45 against the dollar. 4.55 pm: At a press conference, Ashok Gehlot says the Congress has never held Bharat Bandh before and it does not believe in such protests. “But since the time Modi government has come there has been a situation that led to this,” ANI quotes him as saying. 4.17 pm: At a rally of Left parties in New Delhi, CPI(M) General Secretary Sitaram Yechury says distressed people are forcing Opposition parties to come together against the “anti-people government” of the BJP at the Centre, reports the Hindustan Times. 4.13 pm: The police in Pune have arrested six MNS workers for allegedly trying to close shops forcefully, reports ANI. 3.53 pm: Bus services have resumed in Davanagere, Chamarajnagar, Kolar, Kolar Gold Fields, Bengaluru, Shivamogga and Tumakuru, reports ANI. 3.50 pm: Andhra Pradesh Chief Minister Chandrababu Naidu announces a reduction in petrol and diesel prices in the state by Rs 2 each, reports ANI. The new rates will come into effect from Tuesday morning. 3.22 pm: Maharashtra Navnirman Sena workers in Pune deflated bus tyres and violently enforced the shutdown, reports The Indian Express. On Sunday, MNS chief Raj Thackeray had asked his party workers not to damage public property. 3.17 pm: In Bengaluru, airport buses will start plying from 4 pm, reports The Hindu. The city saw a couple of innovative protests against the rising fuel prices. Janata Dal (Secular) legislator Sharavana arrived at the party protest at Town Hall in a horse while activist Vatal Nagaraj rode into the deserted Kempegowda bus stand on a donkey. 3.06 pm: A man in Bihar’s Muzaffarpur district has been hospitalised after unidentified people shot at him, reports The New Indian Express. A local Rashtriya Janata Dal leader was involved in the incident, according to Zee News. 2.55 pm: In Bhopal, a flower shop owned by Madhya Pradesh Chief Minister Shivraj Singh Chouhan’s son Kartikey was at the centre of a protest by Congress workers, PTI reports. 2.54 pm: The shutdown has been successful in Madhya Pradesh, PTI quotes Congress leaders as saying. The ruling BJP accuses the Opposition party of adopting anarchic methods to intimidate people and enforce the strike. 2.51 pm: The call for nationwide strike has evoked a mixed response in Gujarat, reports the Hindustan Times. According to the police, more than 300 Congress workers and leaders have been detained across the state, including state party chief Amit Chavda and Gujarat party in-charge Rajiv Satav. 2.48 pm: Rajasthan minister Rajkumar Rinwa says people should reduce consumption to help the government fight inflation, reports ANI. The government is trying to bring down the fuel prices, he adds. 2.44 pm: In Goa, the Congress is not observing the shutdown as the state is gearing up for Ganesh Chaturthi festivities, reports PTI. Instead, the Opposition party leaders visited petrol pumps to talk to people about the Centre’s policies that have reportedly caused fuel prices to increase. 2.41 pm: The protests in Andhra Pradesh’s Krishna, West Godavari and other districts have largely been peaceful, reports The Hindu. Almost all the educational institutions and traders extended support to the shutdown call though banks, government offices and a majority of state government buses functioned as usual. 2.38 pm: BJP leader Subramanian Swamy says Prime Minister Narendra Modi must ask the petroleum minister to “stop setting prices so high that people can go to the point of revolt”, reports ANI. 2.33 pm: The nationwide strike has not affectted Mizoram as neither the Pradesh Congress Committee nor the other Opposition parties joined the protests, the Hindustan Times reports. 2.25 pm: The district administration has imposed prohibitory orders in Udupi city in Karnataka after protests turned violent, reports The Hindu. The prohibitory orders were imposed from 11 am and will be in place till 6 am on Tuesday. 2.21 pm: Around 400 bandh supporters have been detained in different parts of Tripura, PTI quotes officiating Assistant Inspector General (Law and Order) Subrata Chakraborty as saying. 1.56 pm: Arunachal Pradesh Police arrest around 100 Congress activists, reports PTI. Itanagar Superintendent of Police M Harsh Vardhan says protestors burned tyres in Itanagar and other places to block roads. Congress General Secretary Jarjum Ete claims the SP used abusive language against Mahila Congress activists and complaint will be lodged against him. 1.36 pm: Protestors block railway tracks in Odisha’s Bhubaneswar, Khurda Road, Puri, Berhampur, Sambalpur and Balasore disrupting train services, reports PTI. Congress workers block roads Bhubaneswar, Cuttack, Sambalpur and Khurda. Shops, markets, business establishments and educational institutions are closed. Protestors lock ticket counters at Sun Temple in Konarak. 1.23 pm: Congress leader Sajjan Kumar, who was acquitted in the 1984 anti-Sikh riots case, takes part in protests in Delhi, reports ANI. 1.05 pm: “Congress is resorting to fear mongering,” says Union minister Ravi Shankar Prasad. “People know the truth... no role of government in fuel hike. Onus on states to reduce tax”, reports the Hindustan Times. He says it is a “momentary difficulty”. The minister challenges former Prime Minister Manmohan Singh to a debate in Parliament on the state of the economy. 1 pm: Supporters of the United Democratic Front and the Left Democratic Front force shop owners to close their establishments in Kerala’s Mukkom in Kozhikode district, reports The Hindu. Protestors stopped private vehicles on Monday morning as police presence was minimal along several stretches. Vehicles hired for weddings and the delivery of flood relief material have been spared. In Thiruvananthapuram, police have been operating special vans to ferry passengers and patients to and from railway stations, General Hospital and the cancer hospital. 12.55 pm: Nine trains have been delayed by 20 to 80 minutes in Assam as protestors stopped trains in Lumding and Tinsukia division, reports Hindustan Times. Protesters also block movement of trains at Silchar, Digboi and between Nakachari and Mariani. “These blockades were lifted later and train services resumed,” says a Northeast Frontier Railways release. 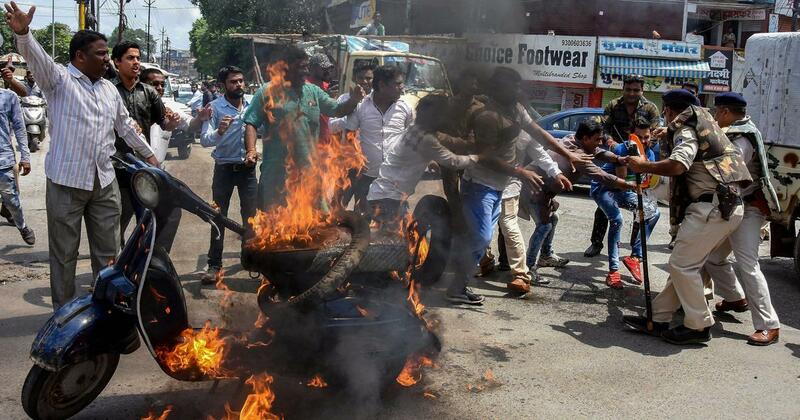 12.52 pm: Union minister Ravi Shankar Prasad says everyone has the right to protest, “but what is happening today?” “Petrol pumps and buses being set ablaze, putting to risk lives,” he tells ANI. “A child died after an ambulance was stuck in the protests in Bihar’s Jehanabad. Who is responsible? 12.50 pm: CPI(M) state secretary K Balakrishnan and CPI state secretary R Mutharasan have been taken into preventive custody after staging a protest in Chennai, reports The Hindu. 12.43 pm: “We oppose the hike in fuel prices, but there is a question in our mind: whether Congress has the moral right to lead the bandh?” says senior AAP leader Atishi, according to News 18. 12.26 pm: MNS, Congress and NCP workers block traffic at Teen Hath Naka along Eastern Express Highway in Thane, reports Hindustan Times. Protestors have vandalised At least 14 buses of the Brihanmumbai Electric Supply and Transport undertaking since Monday morning. 12.21 pm: Tripura Police detain around 300 Congress leaders and supporters who were picketing government offices, reports The Hindu. Superintendent of Police Subrata Chakraborty says Tripura Congress Committee President Birajit Sinha and senior leader Gopal Chandra Roy are among those detained. 12.17 pm: Congress and BJP workers clash in Karnataka’s Udupi, reports Hindustan Times. Police resort to lathi charge to bring the situation under control. The BJP alleged that Congress workers were trying to forcibly close commercial establishments. District BJP President Prabhakar Poojary suffered injuries in the clash. Congress workers throw stones at a BJP MLA Rajesh Naik’s car near Mangaluru, reports News 18. Incidents of violence have been reported from places in Udupi and Dakshina Kannada districts. 11.56 am: “Modiji said that what didn’t happen in 70 years, we will do in 4 years,” says Rahul Gandhi. “Wherever he goes, he just goes to sow division.” He says the prime minister is silent on matters important to the youth. 11.41 am: “Narendra Modi ji is silent, he has not spoken a word on rising prices of fuel, or condition of farmers, neither on atrocities against women,” says Congress President Rahul Gandhi. 11.39 am: Jharkhand Police have taken into custody 58 Congress activists for forcibly trying to enforce the bandh on Monday, reports PTI. The Jharkhand Mukti Morcha, Rashtriya Janata Dal and Left parties in the state are supporting the bandh. 11.35 am: The Bharatiya Janata Party says the nationwide bandh is an attempt to spread rumour and confusion among the masses, reports PTI. “The Congress is a cruise of corruption and whichever party joins it will sink with it,” says Union minister and Bharatiya Janata Party leader Mukhtar Abbas Naqvi. He says people will “puncture the grand alliance balloon” floated by the main opposition party. 11.29 am: Bus services have been disrupted in Telangana and Andhra Pradesh, reports IANS. Activists of the Congress and the Left parties staged sit-in protests at depots of state road transport corporations. Police arrest leaders of Congress, Left parties, Jana Sena and trade unions affiliated to them in Hyderabad and other towns in Telangana and Andhra Pradesh. The ruling Telangana Rashtra Samithi in Telangana is not supporting the bandh. 11.20 am: Police detain a few MNS workers in Mumbai for hurling stones at buses in Mumbai, reports The Indian Express. Railway police remove protestors who blocked railway tracks at Andheri and Dadar railway stations, reports News 18. Trains on all routes of Central, Western and harbour lines are operational. 11.16 am: “Who has stopped vikas [development]?” asks former Uttar Pradesh Chief Minister Akhilesh Yadav. “They are those people [who] brought in ‘notebandi’ and GST. And all this was done to provide opportunity for China to trade in India. Voters will give them [BJP] a befitting reply during Lok Sabha elections”, reports News 18. 11.03 am: Traffic has been disrupted in Delhi’s Daryaganj and around Ramlila Maida due to the protest, reports Hindustan Times. Reserve police forces, motorcycle patrols have been deployed in Delhi. Offices and schools remained open in the national capital. 10.58 am: MNS workers forcefully shut down shops and business establishments in Mumbai’s Parel, reports ANI. 10.52 am: Loktantrik Janata Dal workers carry a motorbike on their shoulders in Patna to mark their protest against rise in fuel prices, reports ANI. Jan Adhikar Party workers vandalise vehicles during a protest in Patna. 10.45 am: Police take MNS workers into custody for trying to disrupt metro rail services at DN Road station, reports Hindustan Times. Western Railway’s Public Relations Officer, Gajanan Mahatpurkar, says local train services have resumed from Andheri railway station. Train services are functional on Central Railway line. 10.43 am: “Modi government has done a number of things that were not in the interest of the nation,” says former Prime Minister Manmohan Singh. “The time to change this government will come soon.” The government has now “crossed the limit”, he adds. 10.35 am: Mumbai Police detain former Maharashtra Chief Minister Ashok Chavan, Mumbai Congress President Sanja Nirupam, senior leader Manikrao Thakare and take them to DN Nagar police station, reports The Indian Express. Police also detain Maharashtra Navnirman Sena leaders who tried to stage a protest outside Sena Bhavan in Dadar. MNS leaders Sandeep Deshpande and Rita Gupta have been taken into custody. 10.30 am: Congress workers have allegedly vandalised a petrol pump in Madhya Pradesh’s Ujjain, reports News 18. A person has been injured in a clash between protestors and the police. 10.24 am: Sonia Gandhi, former Prime Minister Manmohan Singh join the protest in Delhi, reports ANI. Nationalist Congress Party chief Sharad Pawar and former Janata Dal (United) member Sharad Yadav also join the protest in Delhi. 10.19 am: Congress workers stage a rail roko at Andheri railway station, reports ANI. the East Coast Railway Zone has cancelled 12 trains, including Bhubaneswar-Howrah Jan Shatabdi Express and Bhubaneswar-Visakhapatnam Inter City Express, reports ANI. 10.09 am: Former Maharashtra Chief Minister Ashok Chavan and Congress workers protest at Andheri station in Mumbai, reports Hindustan Times. Government Railway Police control room confirms that protestors have stopped Borivali-bound local train. Protestors stop trains at Chembur station on the harbour line of the Central Railway, reports The Indian Express. A few petrol pumps in Chembur and Sahar in Mumbai are closed. 10.02 am: Buses and taxis stay off roads in Assam, reports Hindustan Times. “There have been no reports of any violence so far,” says Director General of Police Kuladhar Saikia. Police detained a few people in some districts of the state after they tried to block roads and highways. 9.50 am: Congress workers stage protests in Chhattisgarh’s Raipur, reports ANI. 9.48 am: In Kerala, protestors block vehicles and force shops, business establishments to shut down, reports Hindustan Times. Rail and air services are not affected. All educational institutions in the state are closed. Flood-affected areas in the state have been exempted from the bandh. 9.42 am: In Maharashtra, the Nationalist Congress Party and Maharashtra Navanirman Sena have extended their support to the shutdown, reports The Indian Express. In Mumbai, the shutdown has not affected movement of vehicles. 9.37 am: Security has been tightened in Jaipur, reports ANI. Police say precautionary measures have been taken and action will be taken against protestors who resort to violence. 9.34 am: Rail and road traffic have been affected across Bihar owing to the shutdown, reports IANS. Trains were halted at Patna, Gaya, Bhojpur, Jehanabad, Bhagalpur and Muzaffarpur railway stations. Rashtriya Janata Dal, the Left parties and Hindustani Awam Morcha are supporting the shutdown. Protestors raised slogans against the Centre, Prime Minister Narendra Modi and Bihar Chief Minister Nitish Kumar. 9.30 am: Members of the Communist Party of India and the Communist Party of India (Marxist) stage protests in Andhra Pradesh’s Vijayawada, reports ANI. 9.26 am: Congress workers protest in Telangana’s Yadadri Bhuvanagiri district and in Hyderabad, reports ANI. 9.21 am: Workers of Jan Adhikar Party Loktantrik block railway tracks in Patna’s Rajendra Nagar Terminal railway station in Bihar, reports ANI. 9.18 am: Protestors in Gujarat’s Bharuch burn tyres and stop buses, halting the movement of vehicles, reports ANI. 9.15 am: Pune’s Commissioner Of Police Venkatesham K says extra forces have been deployed across the city, reports Hindustan Times. “Firm action will be taken on any miscreants taking law into their hands,” he says. 9.05 am: Rahul Gandhi along with members of Opposition parties begin to march towards Ramlila Maidan, reports ANI. 9 am: Congress President Rahul Gandhi joins the protest in Delhi’s Rajghat.